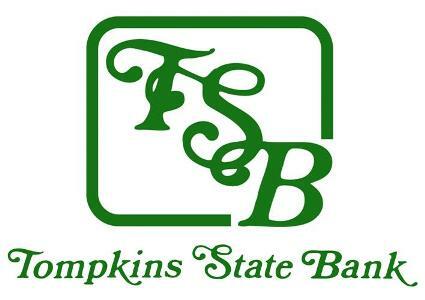 In 1884, Steven Tompkins founded a bank in Avon, IL, later to be known as Tompkins State Bank. It was founded on a strong belief of customer service. Though the original location has changed, the name and beliefs have remained the same. From its inception, the bank has continued to grow meeting the needs of it's customers. In April of 1991, Tompkins State Bank expanded and opened an office in Abingdon. In 2005 the Avon location was remodeled and the bank added a 2nd building for data processing and a more convenient drive-thru location. Our third Tompkins State Bank office opened in Knoxville in February of 2006. The Knoxville office is conveniently located at the junction of Cty. Hwy 10 and US Route 150. In December of 2008, Tompkins State Bank acquired Community Bank at 1380 N. Henderson Street in Galesburg. We pride ourselves on being A Real Community Bank. Our thoughts are "Community Minded . . .Customer Focused"
We proudly serve the area with numerous products from Free Checking to Health Savings Accounts for individuals, or Business Checking Accounts and Commercial Loans to ACH origination. Tompkins State Bank has what you need. Today, just as we did last week, last month and the past 125 years, our business model as " A Real Community Bank" remains the same: continue serving local depositors and lending responsibly to customers in this area for businesses, homes and other consumer needs. Your search for a banking partner is over. Choose Tompkins State Bank and take the guesswork out of your banking. LET TOMPKINS STATE BANK help you NAVIGATE through all the NEW TURNS in your life. Whether a NEW PURCHASE or REFINANCING, a home can be your best asset. This WIBA Member Profile has been viewed 1982 times.